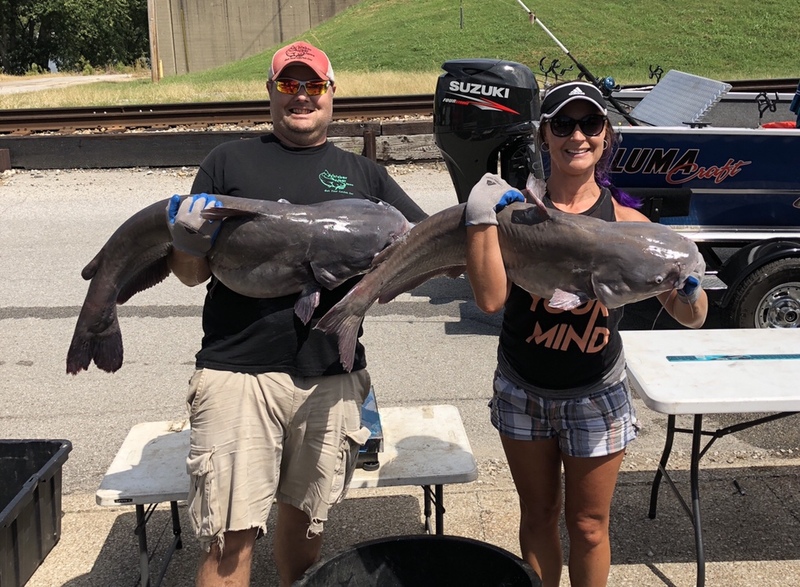 After a long break from Catfish tournament fishing, my wife and I headed to the Ohio River for the first time this year. We competed against sixty teams from five different states and finished in fourth place. It was a hot day so we decided to play it safe and weigh our first two fish several hours early. The last thing we wanted to do was jeopardize, hurt or kill trophy size due to the heat index in our livewell. Unfortunately, after taking all the time necessary to weigh those two fish in and release them back into the river we didn’t have time to get back to where we had caught those fish; so we fished close to the ramp. We finished with three more small fish that gave us a total weight of eighty three and one half pounds. I am confident if we had stayed in the same spot we might have won the tournament. First place only beat us by seventeen pounds but in the end we made a good decision by putting the health of the fish first on the priority list.